wp-db is the mini database abstraction layer for WordPress. It allows you to run WordPress on various database. Right now MySQL is pretty much it, but some folks have been doing a PostgreSQL version as well. Well, I wanted it to connect to an Interbase db for the .TEXT blog conversion I’ve been doing. I’m not going to run WordPress off of Interbase yet, but it simplified the import for me to use WP-DB for my database import connection. attracting a wealth of interest via Google’s Summer of Code. be major interest in expanding Scribus into a CMS. There’s also a list that those interested can subscribe to. Codegear (now a subsidiary of Borland) has just released version 1.0 of Delphi for PHP, a RAD development environment (running on Windows) that produces standard PHP code. It features a large set of built-in components, including ones that use AJAX for database access; and Codegear is encouraging users to develop their own components. The framework, VCL for PHP, is open source, and documentation follows the PHP model. 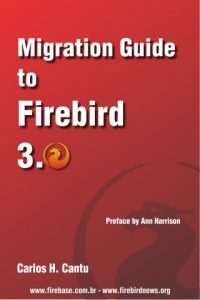 Initial database connectivity is for MySQL and Interbase (Codegear’s commercial database that spawned the open-source Firebird), but more are promised. The developers who brought us Delphi, that Ferrari of Integrated Development Environments, are entering the dynamic language tools race, and this time they are sporting Ruby red. Delphi 2007 for Win32 is GOLD!